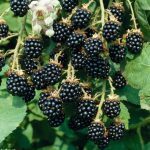 In June, blackberries are being featured for the Harvest of the Month (HOTM) program. Blackberries are a delicious summer fruit packed with nutrients. Check out these resources and ideas to celebrate Harvest of the Month with local blackberries! Create a fresh fruit salad with blackberries and other seasonal fruits. Add fresh blackberries to a yogurt smoothie or parfait. Toss fresh blackberries in a green lettuce or spinach salad and serve with a light vinaigrette. Offer a taste testing of fresh, local blackberries and have students evaluate if they like them. North American Raspberry & Blackberry Association – the association’s mission is to promote production and marketing of raspberries and blackberries. The website contains information, nutrition facts and a recipe collection for blackberries. Berry Fresh Month – Find resources for a variety of berries, from the United States Department of Agriculture, Food and Nutrition Service, Healthy Meals Resource System. What’s Cooking? USDA Mixing Bowl – Search for recipes using blackberries in this interactive website. 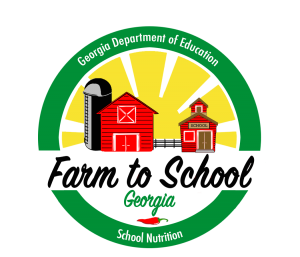 The website includes a searchable database for healthy recipes and can help with meal planning, cooking and grocery shopping, from the United States Department of Agriculture, Food, Nutrition and Consumer Services.